Automatically generate and send your recurring invoices with this module ! Choose once the email template and the recipient and the module will do the rest. The module allows you to automatically generate your recurring invoices (with Dolibarr's dedicated functionality). 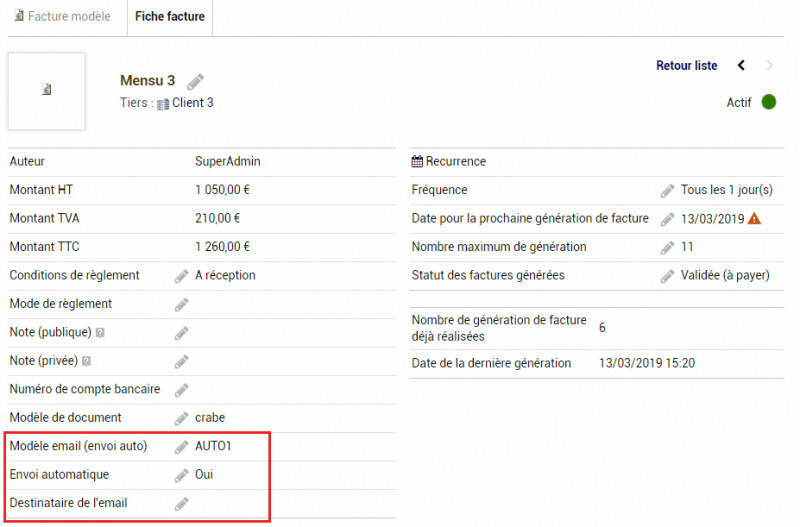 The module automatically generates the PDFs and automatically sends by email, if you wish, the invoices to the chosen recipient, with the email template specified for each invoice.